To accuse African leaders of democracy deficit is to understate the problem that Africa has been suffering in the hands of its rulers ever since the heydays of independence in the 50s and 60s. What Africa has been actually suffering from is that of normalcy deficit, a direct consequence of its leaders’ abnormal understanding of what modernity is all about. The more abnormal that understanding happens to be, the worse tend to be the lives of the subjects; in the worst cases, minimal conditions for leading normal life as we know it totally disappear from the African scene. Thus, paradoxical as it may seem, it is in the leaders’ drive for modernity that much of the continent’s suffering has been taking place. In their effort to register development without the emancipation of the individual, the leaders have to hold the material and human aspects of modernity apart of one another, always with their seat of power in their minds. The further these two aspects are held apart of one another, the worse fare the masses of that nation. This problem is most poignant in the Eritrean case where the deficit is at its largest and, consequently, the results of the drive to modernity the direst. It is a drive for modernity where its human aspect has been totally factored out, in the process wiping out any trace of normalcy from the Eritrean people’s daily lives. Although the general theme of the article is on how the human aspect of modernity has been factored out in Eritrea in its drive for modernity, it will be narrowed down by making Asmara the focal point of study. And in this part, it will be only the genesis of this modernity and its impact on ghedli that will be addressed. In Part II, its applicability on the ground in modern day Eritrea will be discussed. In light of the recent events, the crumbling of Asmara,1 the investment conference conducted recently in the city and the president’s interview on “development”, I thought that looking at the problem of modernity factor in Eritrea in its generational aspect rather than the simplistic “Isaias did it” narrative would only be appropriate by making the modernist city of Asmara our focal point. After all, the ghedli generation’s concept of modernity comes entirely from the influence the city had on them – call it, if you will, “Asmara modernity”. Let me start by a metaphor that describes the dead end that Eritrea has reached now as a result of that drive. Anyone who has lived in Southern California, a land that has more freeways than anywhere in the world, for few years is familiar to this occasional bizarre scene: a number of police cars chasing a car through a myriad of roads and freeways, a chase that sometimes lasts for hours – all broadcasted live on TV. This is what usually happens: Police tell a driver to stop. Either because he is under influence of alcohol or drugs or because he has an offense – he could be driving a stolen car, he is in parole, etc – he attempts a desperate escape. A few minutes later, other police cars join the chase. 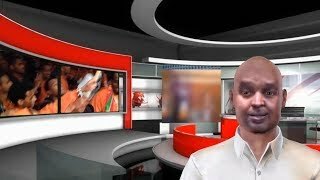 Soon, one of the news channels acts upon the information given to it by a bystander, and sends a helicopter to follow the chase, which is broadcasted live to the public. Not to be outdone, other channels follow soon. All their usual programs are either interrupted or altogether suspended to provide the public with a real life drama in real time. The public gets hooked; even as it sometimes gets a bit monotonous watching the chase in the vastness of a freeway, nobody wants to miss how it ends. As in suspense movie, the finale is a must see. The audience keeps salivating as it entertains the various ways this chase may end. The gory minded: would it end with a dramatic crash, with the car plowing through cars, and hopefully into a house or store? The action minded: would it end up in in exchange of fire? The suspense minded: would it end up with the driver killing himself, driving over a cliff or shooting himself? The mothers: won’t the driver simply give up, given the futility of his attempt to escape? The plot minded: would the police anticipate his moves and plant spikes on the road he is heading to flatten the car’s tires? The quick-result minded: would the police car rum the renegade’s car from behind, and witness a real spin? Although there has been many dramatic ways that such a chase had been brought or come to an end, the one end that fits the Eritrean scenario looks like this: some drivers, after giving the police a chase of their life for few hours, mainly by driving through a number of interlinked freeways, come first to suddenly and unexpectedly slow down, to end up in the dreaded anti-climax of all, a sudden stop: the culprits have simply run out of gas! The Eritrean case is a similar one: literally and figuratively, Eritrea has run out of gas. 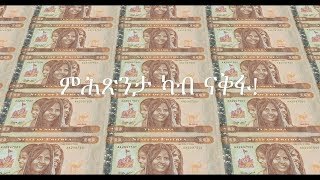 Nowadays, Eritrea has run out of everything, the two most important items of which being hard currency and young male adults, whose depletion are at the core of the economic and military meltdowns of the nation respectively. These meltdowns have reached such a level that the nation has functionally come to a standstill – that is, for all practical purposes it Eritrea has become a failed state. When the Ethiopian army undertook two punitive measures deep inside Eritrea in the Danakil and Badme areas, their missions are believed to have taken an hour or two to accomplish – according to Ethiopian sources and Eritrean prisoners interviewed at Sallina. And what is more, the Ethiopian army still sits on the villages that it dislodged the Eritrean army from. The Eritrean army’s attempt to recover the land it lost in these latest forays has come to naught. What explains this terminal weakness? We might find a hint from the interviews. Invariably, all those who were interviewed were mentioning two factors: the hollowing out of the army and low morale. The hollowing out of the army can be better grasped if one looks at the average age of the 27 prisoners that opted to return to Eritrea. In the list that Sallina provided of the names and origin of the returnees, additional information was their ages. Using those figures, one comes up with 43 years for an average age. This shows that almost all the seasoned young adults in their 20s and 30s have abandoned the army. With the mass exodus, tens of thousands of young adults, mostly male, have either deserted the army or altogether evaded conscription. If so, how does one expect an army of middle-aged men to withstand any assault from the Ethiopian army? This also explains, among other things, the low morale of the army: the middle-aged soldiers are there simply because they cannot abandon their families. But the army is not only running out of conscripts, but also of armaments. In fact, the “standstill” metaphor fits best the Eritrean Air Force: it has reached a point where its entire aircraft fleet is literally grounded. The effectiveness of the arms embargo is to be seen in the air force in regard to two things: it denied it both the expertise and spare parts it needs to maintain its fleet. This is especially so in regard to its sophisticated aircraft like Mig-29 and Su-27, which require high maintenance to remain operational. As a result, it is now believed that Eritrea has only seven that still remain operational (compare that with Ethiopia’s dozens, to take a conservative estimate).2 And since these few are getting both the expertise and spare parts through the illicit black market, the likelihood that all will remain grounded with further vigilance from the UN monitoring group is not to be doubted, if not already achieved by now. And what is taking place in the air force is also taking place among the army and the navy, the only difference being it is not as easy to track the degradation of their armaments. So has it been with the economic meltdown, which has now come to a standstill, which the blackouts throughout the nation amply testify. The government has run out of hard currency, and can no more provide the most minimal service to its people such as electric power and tap water. How did all of this happen? It is the sum total of Shaebia’s incompetence that has brought the nation to a standstill. Shaebia is legendary for its incompetence. Everything it touches – its Midas Touch – turns into ashes. Any institution it has run has been disintegrating fast: the military, air force, police, education, health system, municipalities, courts, etc. Every corporation or economic endeavor it undertook has failed: airlines, farming projects, fishery, commerce, industries of all kinds, etc. So has it been in diplomacy; the consistency with which it had been making enemies is astounding: NGOs, UNMEEE, UN, AU, IGAD, EU, USA, etc What explains this failure at every level – institutional, organizational, economic, diplomatic, political, etc? There has to be a general explanation that cuts across all these different levels, both categorically and individually. And there is: temekro mieda. It is this generational malady that is to account for every failure, rather than the simplistic narrative that attributes all such failure to Nsu. Nsu factors in because his modernity is an example par excellence of this generational malady. If so, we will have to trace this generational malady all the way to the ghedli generation’s “Asmara modernity”, which is the subject matter of of this part (Part I) of the article. In doing so we will ask this critical question: how did temekro Asmara morph into temekro mieda? The defining attributes of temekro mieda happen to be: debilitating incuriosity for anything outside mieda experience, be it of traditional Eritrea or the outside world; contempt or disdain for anything (any body of knowledge) outside that experience; archaic self reliance in everything it does (even in knowledge! ), incompetence in all fields it is applied to; an ever-prevalent coercion that never leaves the scene.3 As a result, if there is anything that temekro mieda abhors it is institutions, for built-in in the latter are respect for precedence, law and order, predictability, professionalism, specialization, etc because they deny it the arbitrary world it needs to remain functional. That is why Shaebia’s visceral hatred for all kinds of institutions – political, economic, religious, traditional, educational, etc – is legendary. And since it is this overarching policy of temekro mieda that is to be accounted for all the institutional failures in Eritrea, we need to trace it to its generational roots; or, rather, to this generation’s confused understanding of “modernity”. Most of African leaders’ grasp of “modernity”, as they have understood and applied it on the ground, has been tenuous at best; that is to say, all along they have never been “modern men” in the true sense of it. There are three levels of this misconstrued understanding, but in all instances what holds in common is the effort to hold the two aspects of modernity apart of one another. While they are for material development, some even to a point of fascination, most have remained united in constraining the emancipatory aspects of the individual that modernity is all about. But the problem is that one cannot make much progress in the former task without doing much in advancing the latter. And worse for them, one cannot advance far in material progress without raising expectations and demands on the emancipatory aspects of that progress. That is to say, the two aspects of modernity feed on one another in such inextricable way that one cannot go far in advancing one without advancing the other. This has lead to innovative ways of skirting this inextricability problem. In the past, most African leaders have been adherents of minimal modernity. They are for the kind of modernity that not only doesn’t threaten but also helps them in their rule. In this regard, they pick and choose those amenities of modernity that could be put to their service without putting their rule at risk. But given the unintended consequences that those amenities due to their ambiguous applicability carry, this undertaking has always been fraught with danger. Thus, to minimize the risk, they tend to be frugal in their choices. As a result, the material or infrastructural development that they selectively undertake is geared towards stagnant stability. That is why the modernity they espouse is usually concentrated in and around the capital city and few other major projects like national airlines, a railway connecting the capital with the port, a hydro-dam, a university and a few industries and commercial agriculture projects. And if they happen to be lucky, they would have one commodity – be it oil, copper, gold, diamond, coffee or cocoa – that would serve them as their main source for hard currency. The vast rest of the nation is supposed to remain stagnantly constant, with little developments here and there, often undertaken to feed the capital of its needs. And it is usually when one of those forgotten “stagnant constants” in the “vast rest” go awry that trouble starts in earnest for the regime. Haile Selassie is a prime example of a leader who practiced minimal modernity throughout his reign. He was so protective of his throne that any major development outside Addis Ababa, with few exceptions, was considered a threat to the Shoa hegemony. Paradoxically, the few exceptions that were tolerated to grow were cities like Asmara and Dire-Dawa at the periphery of the empire. Given the old historical rivalries, not even the Amhara provinces of Gojjam, Begemider and Wollo were beneficiaries of his rule. And this created the impression that all there was to Ethiopia was its capital city, a condition not unlike that of many African nations. This is, indeed, a strange kind of centralism, where to control the vast rest outside the center, the rulers have to keep it poor and ignorant. It is easy to see the “colonial” component in such an arrangement, in which modernity is strategically confined to the “metropolis”. We still see the legacy of that centralism in today’s Ethiopia: a mega city of millions in the center, while there is not a single city that comes close to a million in the vast rest of the country; that is, even as great effort is currently being made to develop these forgotten regions. Haile Selassie was a shrewd leader, but his effort to stop the advance of modernity through geographic demarcation was quixotic. Confining modernity to the center could be maintained so far as the vast rest of the country was held constant in its stagnant stability. But there were too many unpredictable variables in the vast rest for this formula to work for long. One such variable was the famine, a crisis that eventually morphed into the very undoing of the regime. Another was the uprising in the North. And yet another was the crisis in the educational system that came to a dead end, and became the triggering point of the revolution (more on that in Part II). Thus, creating an island of modernity within a sea of a feudal world was in the end an impossible task; there were no gates strong enough to keep the undesirables out. Sooner or later, that the “vast rest” will catch up on the center was totally lost on the monarch. There are those leaders that want maximal infrastructural modernity, but without the corresponding emancipatory aspects at the individual level. Arab modernity is a prime example of this kind of modernity. This kind of attempt to hold the two aspects of modernity apart is best witnessed in Saudi Arabia, where a lot has been done to develop the country infrastructure-wise or materially but, at the same time, by holding the Wahabist world of ancient Arabia constant. This has been so far possible primarily because of the oil economy. What would be more interesting is to see Arab modernity that doesn’t depend on oil for its development, where the inextricability phenomenon cannot be so easily skirted. The one that was practiced in Tunisia prior to the revolution belongs to this genre. Here is good example of a nation that did everything imaginable to join the modern world – fantastic educational system, great infrastructure, excellent industrial and service sectors, population well connected to the information age, etc – but yet wanted to curtail the emancipation of the individual to a “manageable” level. We have seen how that has ended with the advent of Arab Spring. Underlying the inextricability phenomenon is the fact that the Tunisian revolution would have been inconceivable without the amenities that the post-modern world provided and, equally, without a well-educated population ready to use those amenities for self-emancipatory purposes. For how long one could hold the two aspects of modernity apart while going for maximal material development depends on many variables. As a result, one is not sure how much minimal reform on the emancipatory aspect is enough to warrant maximal development; any miscalculation on that part could be fatal. And, often, it is in the search for that essential minimum that these regimes unravel. This might not be as foolish as drawing a geographic line to stop the march of modernity, but it nevertheless is one such line within the rights of the individual that cannot be defended for long. In light of this, the breakneck speed with which Tunisia developed to join the postmodern era without simultaneously raising expectations on individual rights was in the long run untenable. Frivolous it may be, but the consequences of such kind of modernity happen to be the direst. Mao’s “insight” to make China leap forward through mass production of pig-iron, with little industrial relevance, is one of the most frivolous ideas to be entertained by any leader in the 20th century, yet the consequences to the masses has been one of the direst.4 So is it with the Pol Pot’s idea to create a socialist agrarian paradise by emptying entire cities of their population within days. The human toll that these social experiments took counts in millions. Appropriate to its frivolous nature, it is also the dumbest; those who espouse it don’t even realize the nature of their fascination with modernity – its tokenism. Like a child, the leaders who subscribe to this type of modernity are fascinated by the knick knacks that modernity offers, but have no clue as to how to harness them to human interest. Take notice that the decoupling here is much more severe than the one mentioned above, where the human factor to be excluded was confined to its geographic or emancipatory aspects only. In this case, the human aspect to be curtailed is broader in that it includes the utilitarian aspect of modernity too; that is, the amenities made available by modernity are needed independent of their day-to-day human applicability on the ground. Because of its oddity, we see surface modernity as an overarching policy rarely in practice; espoused mainly by the totalitarian types. The totally insulated world the leaders live in, one that necessarily comes with the absolute power they wield over a totally emasculated population, has infantilized them beyond redemption. The total absence of dialog, even among the top brass, accounts for the silliness of the idea. This stupidity at the topmost level is of a different genre because it is acquired at the seat of power – call it “acquired stupidity” – with lethal consequences at the bottom.5 The total absence of feedback means that the silliest of ideas would be tested only on the ground, after the damage to the masses is done and over. The Eritrean and North Korean modernity falls within this category, one that often ends up in infrastructural development immaterial of its human toll in building it and devoid of practical use after it is built. In the end, this singular fascination with the gadgets of modernity has left the leaders of these countries as “collectors” of skeletal infrastructure strewn all over the landscapes of their respective domains. This effort to build a modern nation by totally ignoring the human factor, even in its practical utility, has led into a strange kind of “infrastructural success” in Eritrea: in hundreds of miles of asphalted roads, one rarely spots cars; in the international airport built in the town of Massawa, rarely does a plane land, and none that is internationally bound; out of the many reinvented lives of the ”Eritrean Airlines”, all that is left behind is its discarded skeletons; in the extensively expanded ports of Massawa and Assab, rarely does a ship arrive; in the rebuilt Massawa-Asmara railway, a museum relic of past, neither human nor goods’ cargo that is commercially viable ever makes it; in the Shaebia monopolized fishery industry, the entire fleet of modern fishing boats remain idled at ports; in a housing boom entirely geared towards diaspora, most of the buildings remain unfinished and empty; in the many clinics built all over the nation, even the cheapest aspirin is lacking; the many micro-dams built are dreaded by the peasants, as they happen to be prelude to land confiscation; in the non-accredited “colleges” built after the dismantling of the only internationally accredited university, most of the “graduates” head for the border; even the army, with all its modern gadgets, has been hollowed out of its most potent force – the male youth; and, most of all, the modernist city of Asmara has been deliberately emptied of its most productive force – again, the youth. The disconnection between infrastructural development and the human factor can not be more glaring than this. This, indeed, has made Isaias Afwerki a Great Collector of skeletal infrastructure, whose exclusive ownership cannot be doubted given that no one else uses it. At the other end of these silly modernity projects is the incalculable human toll it takes to build them. In Eritrea, almost all the modernity projects are accomplished through the slave labor of Warsai. The dire result of this mindless effort to make a “Great Leap Forward” through the enslavement of the very people that are supposed to be its beneficiaries is the mass exodus of hundreds of thousands of those “slaves” to neighboring countries. And for those trapped inside, the horror goes on with indoctrination, regimentation, slave labor, imprisonment, torture and execution as their lot. The indefinite nature of this “National Service” makes this horror unbearable, as many of them have gone through it for more than a decade; they can neither finish their education nor get a job and raise a family. And as for the masses, given the totalitarian grip under which they live, they remain trapped in abysmal destitution with no hope in sight; to them, this skeletal “infrastructural success” is associated with all kinds of deprivations. That is why to describe the Eritrean condition as deprivation of democracy doesn’t say anything at all; the Eritrean people happen to live in abnormal world devoid of any normality. How did this fascination with infrastructural development immaterial of its human cost and devoid of its practical use take place? For a ghedli generation that set out to create a nation by totally ignoring the human factor, be it in the kind of “modernity” that inspired their revolution or in the prohibitive human cost it took to secure “independence” or in the kind of detached “Eritrea” (detached from the needs, interests and dreams of the masses on the ground) built after independence, this seems to be a befitting, logical conclusion. Soon after independence, the renewed march of folly starts in Asmara (the center); or rather, in the very process of defending the center – the new dejen of the Shaebia tribe. There we will see how frivolous modernity is at its most lethal in the totalitarian type of the Eritrean kind. But before we explore that in Part II, we have to trace the genesis of this modernity by looking at the Asmara and ghedli roots of this generation. A good example where frivolous modernity destroyed a nation in Africa is that of Congo. Mobutu Sese Seko’s tendency to build an international airport in the middle of the jungle large enough to accommodate a Concorde6 comes from adhering to such kind of surface modernity. As appearances of modernity go, for a nation, nothing would beat the Concorde. After all, if provided as a word to associate with any nation, it won’t be Congo but France and Britain that would pop up in one’s mind. This is the kind of modernity that comes from the attempt to appear modern rather than be modern, even though the distinction is lost on its adherents. But the malady of “appearance modernity” doesn’t afflict Mobutu only, but also his generation – that is to say, it is a generational malady. The obsessive fashionable dressing up that has become the identifying mark of modernity for the Congo sapeur7 in the streets of Kinshasa and Brazzaville gives us a glimpse to the extent of frivolous modernity rampant in urban Africa. Sadly, it is in squalid places like this that appearance of modernity gets equated with modernity itself. And often, possession of modern gadgets is all that it requires for one to be modern. In instances like this, the self doesn’t have to undergo any liberating experience that would make it modern; or rather, it feels liberated only if it dresses up. Some observers have noticed that, in many instances with Congo sapeurs, some adult men with jobs have to live with their parents because they spent all their money on designer clothes that had to be brought over all the way from Paris. Possession of these designer clothes is an ultimate mark of modernity. The designer label brings so much prestige among equals and onlookers that in the improvised “fashion” displays they conduct in their shanty areas, the sapeurs make sure that no one misses the designer’s tag. In one hilarious instance that captures the spirit of this African malady, one had to wear his jacket inside out with the designer’s tag made visible to all around. Excessive as it is, this might seem a harmless exercise by urban dandies. But all that you need to imagine is one of these victims of modernity coming at the helm of power of the nation, and you are looking at the horrifying face of Mobutu Sese Seko. The possession of modern gadgets that this Big Man needed to look modern would impoverish a whole nation. One of the frequently given explanations for the emergence of the Congo sapeur is that it was done in protest to Mobutu’s edict that the nation should wear drab “authentic” African dress.8 That might as well be, but what would be more interesting is to look at deeper similarities that would put both the protestors and the dictator in the same category. I believe the greatest sapeur of all of them all was Mobutu; it is only that he didn’t have to dress up to show for that. The designer label he wanted to show off, among other things, would come in building a Concorde-accommodating international airport in the middle of nowhere. After all, the dream of every sapeur is to visit the Mecca of fashion, Paris itself. Mobutu would be the envy of every sapeur if he made it all the way to Paris from his hometown in the jungles of Congo in none other than the Concorde that he used to lease from France; that is, whenever his family wanted to shop in Paris or he wanted to visit a Western capital. There is no doubt that the designer’s label of Concorde would beat all the Guccis and Versaces of the world. If so, we can then say it is modernity worn inside-out that has turned Congo into a failed state. What is fascinating about the Congo sapeurs is the seriousness with which they take their dressing, so much so they have elevated it into a form of art, accompanied by an ideology (as they call it, “sapology”). As in any artist’s case, they are willing to starve for it – literally. Like any art movement, there are certain guidelines that they strictly follow, the three color limit being one of them. Then there are the codes of conduct that go with it, that of behaving as “gentlemen” as they see it. The seriousness with which they treat their life style has given it a quasi-religious status. In fact, the stark contrast between the fashionably dressed sapeurs and the shantytown squalor with debris strewn all over the place that often serves as background for their strutting display9 gives it a surreal, other-worldly atmosphere – not unlike that of the “infrastructural success” in Eritrea among the abysmal national destitution. The point that I am driving at is this: when so much frivolousness is dressed up with so much seriousness, it can easily morph into being lethal given the right environment. True, the urban dandy of the Congo type is a harmless creature so far as he remains cooped up in his beloved city, preoccupied as he is in his pacifist escapism. But give the urban dandy a gun and an ideology that goes with it (“Protect your modernity!”), he undergoes such a metamorphosis that you would never recognize him for the harmless fellow that he has been strutting in the city streets in his tricolored suits. Such a metamorphosis took place among urban dandies of Asmara, who picked up the AK 47 to defend their "Asmara modernity". The Grand Sapeur, Mobutu himself, turned lethal with power because he felt he needed much more space to strut around, pushing everyone around in the process. Even though both the impoverished sapeur and Moboutu imitated the colonial masters to perfection, the latter needed his equal. And he found it in King Leopeldeville of Belgium, who ruled Congo with a brutality that was matched nowhere in colonial Africa.10 In fact, the colonized mind of the urban elite in Congo happens to be the legacy of that brutality; the greater the brutality, the more severe the disconnection from one’s own culture. In this imitation contest, Mobutu had no better role model than the King of Belgium to meticulously emulate. He built a town with many palaces in the middle of nowhere, and literally forgot the whole wide expanse of Congo except to exploit it. None other than the exclusive ownership of all Congo was what his modernity demanded. So was it with the ghedli generation that set out to liberate Eritrea with “exclusive ownership” in mind, Asmara being that ultimate gadget of modernity that they so desperately wanted to have all for themselves. A point to ponder: the mind that strives for “exclusive ownership”, one that cannot be done without depriving others, is quintessentially colonial. Orhan Pamuk, the great Turkish novelist, mentions a “modern” phenomenon that is familiar to many of us who have come from the third world: the urban elite’s obsession to possess modern amenities in total absence of their utility. Growing up in such an environment, he remembers bourgeois families (including his own) having “dark museum houses” with pianos no one has ever played and locked glass cabinets displaying their china and other utensils that nobody has ever used: “Sitting rooms were not meant to be places where you could lounge comfortably; they were little museums designed to demonstrate to a hypothetical visitor that the householders were westernized.”11 The intention is rather similar to that of the sapeur: the worth of the furniture was not in its day-to-day utility, but in the eyes of equals. Opening the special room for esteemed guests is a way of showing off one’s modernity. That tells us the colonial spirit goes beyond colonial borders. Even though Turkey has remained proudly independent throughout the colonial era, it has not been immune to the colonization of the mind. If so, it wouldn’t be surprising if this colonial mind happened to be pervasive in the ghedli generation’s Asmara. I remember as a kid from Mendefera visiting relatives in Asmara witnessing the same phenomenon Pamuk mentions in his writings. I particularly remember one relatively well off family with such special room with fancy sofa, other expensive Italian furniture and, most importantly, a television set that was off limits to family members unless an esteemed guest was invited for dinner. Such an example might seem trivial, but again the point is to trace how “trivial modernity” at a pedestrian level came to morph into an overarching economic policy that ends up with a lot of modern infrastructure that has little day-to-day applicability on the ground. After all, the Grand Collector of Asmara has turned the whole nation into his own “dark museum house”, with its skeletal infrastructure daily on display on EriTv. Remember that the worth of any collection is measured through the eyes of the onlooker, and not through its practical use on the ground. Sadly, Eritrea has now become “for your eyes only” – appearance modernity at its best! Of course, both the ghedli and totalitarian aspects of this modernity have to be factored in to see how that morbid transformation took place. Given the “austere lifestyle” of Isaias Afwerki that his supporters are always keen to reiterate, it might sound odd to describe him as the ultimate Asmara sapeur. But as in the case Moboutu, his frivolous modernity is to be seen in the infrastructural development devoid of human factor he has pioneered that has been mentioned above. If one realizes that hundreds of millions of dollars have been spent to realize Isaias’ greatest pet project – to turn Massawa into the commercial capital of the nation, in general, and into a duty free port, in particular – by making infrastructural preparations (Massawa international airport, Massawa-Assab road, Massawa-Asmara railroad, the upgrading of the port, Eritrean Airlines, etc) without putting the human factor into consideration, then it is easy to see how his surface modernity is not that different from that of Mobutu’s [More on that in Part II]. This also happens to be true with his other major projects like Sawa and Gherset. Thus, the deeper similarity in between the two leaders lies in the exclusive ownership that both aspire. In the case of Moboutu, it is obvious how that goes. In the case of Isaias, one has to put the “exclusive ownership” within the context of a totalitarian system. The monstrosity of totalitarian leaders like Isaias is that once they reach that lonely abode at the top, nothing else than exclusive ownership satisfies them. Whatever they build is always with that aim in mind; it is only that, in their case, nothing less than the ownership of the individual is aimed at. At its extreme, the individual is denied even the ownership of his/her body, as has been the case with the slavery of Warsai. That is why whatever Shaebia builds has this in-built logic that categorically factors out the human component that would otherwise empower the individual. If infrastructural success seems to lead to normalcy in people’s lives, it generates anxiety at the top; since with normalcy, the leaders began to lose the grip they have had over the society. This way, deprivation at the bottom becomes a means of maintaining power at the top; that is, destabilization at the bottom is the only way of keeping stability at the top. If the individual is to be totally owned, he has to be perpetually disoriented. That is why Isaias keeps subverting every possible success that may potentially lead to normalization – and this subversion doesn’t have to be conscious at all. It is in this attempt to deny the individual normal coordination points to locate himself that all of Shaebia’s “infrastructural success” comes only in its skeletal form, bereft of its human applicability. Given the ideological and revolutionary hocus pocus that surrounded the ghedli generation’s “dandyism”, no one took it for what it actually was. The sealed world that they created while sojourning in Sahel, with the rest of the world identified as their enemy, and the self-reliance ideology that went with it, gave this generation’s surface modernity a façade of seriousness mistaken for real depth. But even their understanding of communism had this shallowness inherent to surface modernity: to be a communist, one had only to appear as one. All that was needed to add to the bushy beard (or manicured goatee), the Afro hairdo, the field jacket, Mao’s red book, the bombastic rhetoric, the clenched fist, etc of the Arat-kilo’s revo (the quintessential communist sapeaur), is the AK 47 to get the Asmarino revo, but with much less grasp of what that ideology was all about. Further, all the “modernity” of Sahel – the caves and underground embankments where the hospitals, “industries”, schools, repair shops, etc were located – gave them this false confidence that all they needed to know was temekro mieda to confront the problems of modernity. With this witch’s brew of an ideology for a cover up, their modernity gained a facade of purpose that it never had. In actuality, all temekro Asmara and temekro mieda did was ill equip them for the post-modern world; and it shows in the results accrued so far. What indeed happened when these urban-dandies-turned-revolutionaries took back their beloved city from the “uncivilized” Ethiopians? Bana’s photos of the crumbling of Asmara would provide us with a partial answer as to how that “exclusive ownership” has gone. Where did this generational malady originate? If we could sum up the Congo sapeurs’ philosophy, it would probably go as follows: I dress up, therefore I am. His very identity, his modernity, is tied to his dressing: “Ít is our way of life and not just the dressing. It is how we express our individuality and our character. Along with our families, Le Sap, is our reason for being”14 This indeed happens to be a post-independence generation at limbo that is unwilling or unable to connect with its culture as a source of its identity. Being cut off from its roots and having no inkling of the Western culture it wants desperately to be identified with, it ends up soaking the most superficial part of it only. Its whole identity is being tied to the appearance of being modern. This paradox between looks and reality was also to be seen in the Asmara of the ghedli generation. The paradox of Asmara is, on the one hand, it has the outlook of a modern city; besides, its art deco modernist architecture makes appending the word “modern” to it a proper thing to do. On the other hand, there is nothing cosmopolitan about this city. In its education, culture, music, literature, art, politics, diversity, etc, it looks inward for inspiration; it is self-referential living at its best. The frame of mind of the Asmarino is as provincial as it could be. Intellectualism is abhorred; the reading habit of the population is as dismal as it could possibly get. There is not a single bookstore in the entire city (a city of more than half a million) worth mentioning. Appropriate to this frame of mind, it didn’t occur to Shaebia to build even a single library in the city since independence until recently. This is because the idea of a library doesn’t fit well with the surface modernity it adheres to. The larger world that one gets a glimpse from reading books goes against the grain of inward-looking surface modernity that doesn’t find it necessary to look outside itself but to be looked at by others. If so, one needs a larger space than a library to strut around. Thus, the Asmara of the ghedli generation remained a walled, self-sufficient city that didn’t see the need of the outer world, Eritrea included. The inbreeding of ideas that such a wall fosters was to stay with ghedli generation all the way to Sahel and back to Asmara. Let me carry that paradox a little bit further by looking at the city sleeker “Asmarino”. The Asmarino of the ghedli generation had a very urbane appearance; he even out-dressed the Italians. He had imitated the Italians to perfection; the way he walked, talked, gestured, dressed, ate pasta, sipped espresso, used slang, etc. Yet, there was not the slightest bit of understanding of the Italian culture. You would hardly find a learned Asmarino talking about Dante or Boccaccio, Michelangelo or Giotto, Sophia Loren or Fellini, its famous operas or its fantastic architecture. Even the fact that they were living in a city famous for its modernist architecture came to them as news from the outside world; and for that, very recently. Here then is a generation that imitated the Italians in every gesture without having any understanding of the beauty of the Italian culture. At the same time it is a generation that contemptuously gave its back to the Habesha culture, even though that too is beautiful in its own way. Stranded in no man’s land, they were ready to embrace any identity so far it didn’t demand of them any venturing outside the comforts of their walled enclave. With their debilitating incuriosity to whatever the indigenous culture or the outside world could offer, “cosmopolitan” was the last attribute that the ghedli generation could be described with. Cosmopolitanism requires a self and a world that is constantly in the making; a completed self (or world) is anathema to cosmopolitanism. The Congo sapeur, despite the utter deprivation that surrounds him, has always had an exact idea of how to make himself complete: his tricolored suit, his shining shoes, a fashionable hat that goes with rest, a tie that matches his socks, a scarf that highlight his shirt, an expensive wristwatch, etc … all with expensive labels attached to them. Take away one of these artistically put together ensemble, the melody goes awry, and the dandy feels incomplete and naked as he loses his cool. In this tricolored making of his “self”, the dandy has to reach a point where he says, “Aha, now I am complete!” The satisfaction that comes with that is almost spiritual; at that point, like the ascetic monk he desires nothing else. As one sapeur said, “When I dress like this, it’s like I have the Holy Spirit in me. I’m at ease, as if I were sinless.”15 His utter obliviousness of all the squalor and deprivation around him comes from this inner “spiritual” feeling of being complete – if you will, from feeling “self-sufficient”; from feeling no need “for this earthly matter” that surrounds him. The self-reliance mantra that defines the ideology of Shaebia has its genesis in the urban area, where a whole generation felt completely unnecessary to know anything outside their self-sufficient city - outside their complete selves. The ghedli generation felt that all they needed was in the city, and that there was nothing that rural Eritrea or outside world could offer them. As in the case of the sapeur in his tricolored dress, they felt complete in their “modernity”. Having taken themselves as “finished products”, they were incapable of growing. Often, the Warsai blame the age factor for their plight under the hands of the Yikealo. But the Yikealo turned to be the way they are not because they are old, but because they refused to grow up. The walled environment they created around themselves stunted their growth. When they carried their walled city to Sahel, they felt that all they needed to know was temekro mieda, it simply being an extension to temekro Asmara. See how it comes easy for a generation that once felt all that it needed to know was temekro Asmara to feel the same way about temekro mieda once they moved to their new walled environment. If now Shaebia has erected that wall around Eritrea and satisfactorily proclaims that the nation is self-sufficient, its roots can easily be traced to temekro Asmara and temekro mieda. And since it is this temekro mieda, with its self-reliance philosophy at its core, that is destroying the nation’s economy, we can clearly identify the generational component of this modernity malady. Twice uprooted by the lure of “Asmara civilization” and “ghedli civilization”, the ghedli generation was willing to go through 50 years of hell to dissociate itself from its Habesha roots. But like the sapeur identity, the ghedli identity entirely depends on the “how” of experience for its essence, and not on the “why”16 – that is, it is all form without content. The virtues of ghedli like perseverance, courage, sacrifice, self-reliance, etc never answer the most essential question: what for? That all these “virtues” could easily be appropriated by anyone with “ideology” shows that no stable identity could be forged depending on them. In fact, it is precisely because of this easy interchangeability phenomenon that Asmara identity easily gave way to ghedli identity. It was easy to uproot one and replace it with the other because neither had deep roots on the Eritrean soil. As in the sapeur’s case, if to look modern is to be modern, then all that matters is the art of imitation; what remains superfluous in both identities is to have a goal with content. And in the art of imitation, one remains fashionable by constantly dropping the old to get the newest thing. Accordingly, now the ghedli identity is getting out of fashion – especially among the young. The departure point between the Congo sapeur and his Eritrean counterpart is that the latter picked up a gun to defend his “modernity”. How did he do that? And did his understanding of modernity determine the nature of events in his ghedli sojourn; and if so, how? Ironically, it was one of those foreign writers who ended up romanticizing the Eritrean Revolution from his safe distance who stumbled across the Asmara phenomenon in ghedli. Appropriately titled Towards Asmara, there is this one quote that captures the spirit of the book, where Thomas Keneally says about the protagonist of the novel, Amna: "Asmara seemed to be, to her, Eritrea focused on a mountain top. "18 (emphasis mine) But this metaphor can be easily appropriated to make the opposite point of what the author intends: it would be impossible for Amna to do that without negating the very ground on which she stood – the rest of Eritrea. It requires an Archimedean point to squeeze in a whole nation into a city and survive the free fall that comes thereafter; a free fall of a nation that has never stopped since then. In light of this, it might have even been more appropriate for the book to be titled, For the Sake of Asmara. What did this Asmara projection mean to rural Eritrea? How did the rest of Eritrea fare when the search for independence as construed by “Asmara modernity” was imposed on them? And what did it mean to the peasants for the ghedli generation to having carried their walled city all the way to Sahel? 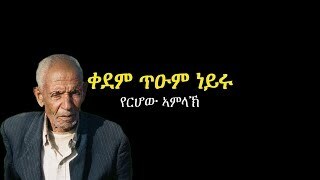 These are the type of questions that we need to answer if we are to know the price that has been paid “for the sake of Asmara”. In the third world of the African type, there is this strategy that the urban elite have consistently adopted to remain in full control: whoever controls the capital controls the nation. This is because the main threat to their control always came from the capital. That is to say, the urban elite’s threat primarily came from the urban elite themselves. The Eritrean case is no different: it was a war fought between Addis Ababa and Asmara elite. In between, the peasants of both Ethiopia and Eritrea perished fighting the respective urban elite’s causes. The Eritrean case seems to be different only because of that great confounding factor, the colonial question that invokes another divide – that between Eritrea and Ethiopia – to remain potent. In realty though, the entire Eritrean revolution can be explained as the urban elite’s attempt to take over the capital. Their behavior, both in ghedli and independence eras, is consistent in regard to this phenomenon. The riddle is why they chose Asmara over Addis Ababa as their final destination. [I will deal with this subject matter at another time] But once they settled for Asmara, the only way to Asmara happened to be through rural Eritrea; no other detour such as coup d’état was possible for them. What this means is that if there was a way of liberating Asmara without liberating the rest of Eritrea they would have gone for it. In fact, if one factors out the geographic nuisance of passing through rural Eritrea on their way to Asmara, that is exactly what they were doing. Aside from that objective, the rest of the ghedli sojourn in the countryside had no relevance to the urban elite. It is as if they were sojourning in a foreign land. There are two tests that we can apply to the ghedli era to see how this went: first, how they treated the peasants; and, second, how they treated Asmara inhabitants. In both cases, Shaebia acted as a colonial army passing through an alien territory to conduct a siege to an alien-inhabited city. The ghedli generation’s surface modernity was at work in both instances. In the first instance, not only did they treat the entire countryside as a road that takes them to Asmara, they also treated the peasants as means to that end. To the urban elite, except for that functional use, the world of the peasantry had no intrinsic value of its own worthy of their attention. That is, the invisibility of the peasant that the urban elite acquired in their walled urban enclave was to remain with them throughout their ghedli sojourn. In the second instance, the ghedli generation treated the inhabitants of Asmara as a displaceable population, dictated by the emerging teghdalay-ghebar divide; a behavior that would remain consistent both in their ghedli sojourn and after independence. In the mid 70s siege of Asmara, they acted as if the “Asmara” that they wanted to install after independence in the city was already with them outside and not with the inhabitants inside the city. All along their journey, they considered neither the peasants nor the inhabitants of Asmara as partners in ownership of their dear Asmara. The ghedli generation’s concept of modernity was intimately tied to the colonial past; to them, imitation of the colonists was the real thing. If so, as pointed above, the essence of their modernity can be summed up as: if you appeared modern, you were modern. It would then logically follow when the urban dandy took it upon himself to “liberate the nation” and picked up a gun that his wrath would fall on all of those he thought were not worth imitating. In this, again, unbeknownst to him, he was imitating none other than the colonial master. To the urban dandy, the peasants remained entirely invisible in mieda. The only time the peasants gained visibility was when looked at as raw material (as it was with the Italians) that could be utilized to reach the urban dandy’s destination: Asmara. In short, the Italian colonial legacy on the urban dandy was the colonial mind he ferociously embraced. This is best seen in how the urban elite treated the peasants in their ghedli sojourn, giffa (roundups) being the best enactment of this invisibility phenomenon. To understand the scope of giffa’s abuse on the peasant, one need to look at how the peasants found themselves on the receiving end of two divides – the urban-rural divide and the teghadalay-ghebar divide – that determined the nature and course of the revolution. Unlike the urban ghebar that was to be blighted by the latter divide after independence, both the urban and ghedli cultures victimized the peasants in an overarching way. If the above is true, the riddle is: how could this huge phenomenon that lasted for more than a decade and involved tens of thousands of peasants with all its dire consequences has been totally missed not only by all the ghedli historians who were enchanted by the revolution (Eritreans and foreigners alike), but also by those who are now trying to come to terms with their past? Even now, with some former teghadelti coming out of their ghedli closet to tell us of the horrors of ghedli, none of them seem to dwell on the greatest horror of all: how the peasants fared under giffa for almost 15 years without any let up. Instead, their stories dwell on the misfortunes that befall on the urban elite as they kept cannibalizing one another. That is to say, the urban elite’s eyes open only to the plight of their own kind. So the answer to the riddle can only be: because the peasant was rendered entirely invisible to the eyes of the urban elite. How else can one explain a phenomenon so overwhelming in its presence to be missed by so many for so long? What is striking is that the way the urban population reacted to forced conscription of the peasants was no different than the way other urban populations reacted in the third world countries that had separatist movements. In places such as Ethiopia and Sri Lanka, where the war against separatists was conducted for years, urban centers like Addis Ababa and Colombo didn’t mind the war so far as the cost was coming at the expense of the peasants and was conducted in far away places. The urban elite, who perfectly understood that it was only if they were in full control of the capital that they could rule, were sensitive to this unspoken demand of the urban population. That was why, for so long, the urban population in Addis Ababa remained totally oblivious to what was going on in Eritrea until the day the war was brought to the gates of the city. So was it with Asmara, the only difference being the distance (spatial, relational and emotional) was not that far from the urbanites to wholly explain their blindness. The urbanites’ rabid nationalism made up for the thorough blindness that couldn’t be explained through distance only. When volunteerism from the urban areas and their surroundings totally dried up after the retreat of 1978, the urban dwellers never asked the question: how was it possible for Shaebia to go on fighting for a dozen odd years characterized with one werar after another without their sons and daughters joining it to replenish its huge combatant losses (in tens of thousands) in death, disability, desertion and surrender? Those who had a vague feeling of what was going on in the rural areas were totally indifferent to it. But the worst ones were those who never entertained that giffa could be taking place, even though it was happening right under their nose. They always had this strange faith in Shaebia, that it was invincible and that somehow it would prevail in the end. Aside from that, they had no inkling how the war was fought and won. Besides their cruel indifference, what makes the urbanites’ reaction hypocritical is that when giffa has come to haunt them now, their reaction has been swift: outrage and mass exodus. That the indefinite service that the urban kids are subjected to currently had been the lot of the peasants for more than a decade is not even acknowledged now as a tragedy. Instead, as the past barbarity is rationalized away as a necessity for ushering netsanet, the present barbarity is reviled as denying harnet – the urban elite’s cruel dichotomy to hide their inherent blindness when it comes to the peasants. This shows us that the division of labor invented in mieda still remains potent – that wall is even carried to Diaspora. The pattern of mieda’s division of labor was clear: the urban elite in mieda led the war; the peasants were made to fight the urban elite’s cause; and the larger urban population subscribed to the cause so far as it didn’t come at too much expense to them. When the urban population halted its volunteerism after the retreat of 1978, it was literally saying: “It is only this much that we are willing to sacrifice; from now on, we will support this war so far as it is not going to be fought at our expense.” Shaebia, having no access to the urban areas, resorted to the old proven way to sustain itself. they made the peasant fight their cause while keeping the urban-rural divide distinct within the confines of mieda. In Sahel, where they had temporarily erected their capital, “Asmara”, the urban elite were protected by a sea of dispensable peasants that filled up miles and miles of trenches. Given that the urban elite, even as they cannibalized one another (Menqae, Yemin, Falul, etc), had reserved all the bureaucratic, administrative and “civilian” kiflitat (departments) (kifli timhrti, kifli zena, kifli tseta, kifli bahli, kifli hikimna, kifli sinqi, Kifli ‘itki, kifli hindesa, kifli politica, etc) to themselves, for the poor peasants there was nowhere to end up but in the murderous trenches. As a result, the peasants’ lifespan in mieda was much shorter than their urban counterparts. This was the unromantic way independence came – mainly on the blood of unwilling peasants. And the numbers tell it all: the disproportionately large numbers of the martyrs hail from the rural areas. What is amazing about all this is that even while living with them day and night for decades, the ghedli of the urban type never lost their “urban innocence”; they were as oblivious of the presence of the peasants in their midst as they were in their urban areas. In all the years they had associated with them, sleeping in their humble cottages, sharing their meager food, sharing the trenches with them, etc, they never tried to understand the peasants – their ways of life, their traditions, their dreams, their worries, etc. When they came back to their Asmara, there was not the slightest bit of the peasant’s influence on them. It is indeed a paradox of the ultimate sort that the structure of Shaebia’s army that marched to Asmara looked like a colonial army, with the urban elite replacing the Italian positions at the top and the peasants accorded their old place of askaris at the bottom – this was how they came to colonize Asmara. There is no greater proof than this that ghedli was not a war of liberation but of colonization. Suppose you are asked to conduct a thought experiment where you would be allowed to build an invincible warrior from scratch (let's say as a script for a horror movie). You first build a detachable brain that would be made to be attached to a separately made foreign body, such that whatever pain felt at the body level would never make its way to the top, even though it is left entirely up to the brain to decide what the body does in times of fighting. Of course, there would be an obvious drawback to this: given the recklessness with which the brain would order the body to fight (for it won't ever feel the body's pain), it is most likely that the body will sustain horrendous wounds; so much so that it would be unable to function as a warrior for long. Here is then where the detachability phenomenon comes handy: given the above mentioned drawback, it is wise of you to build a detachable brain for keeps, and many spare part "bodies" to be discarded as soon as they get worn out. As long as there is an inexhaustible supply of body parts, fighting such a warrior would be futile. So, short of aiming at the head there would be no way of defeating it, for it would totally lack any painful memories of the past that would hinder it in its task of the present. Thus, it would be like conducting a futile and losing battle against one of those indestructible movie characters in one of those Hollywood horror movies that even after having "finally" buried him, he resurfaces from the grave to haunt you again. Above, we have seen how the urbanites, in general, and the urban elite, in particular, never felt the pain of the peasants that lived under Shaebia horror for more than a decade. In the defense of the dejen in Sahel, the Shaebia urban elite were the disembodied brain that was conducting all the battles against Ethiopia. And the body that was doing the actual fighting was that of the tens of thousands of peasants rounded up from their villages. There was such a formidable firewall between these two population groups that whatever pain registered at the bottom never made its way to the top. The history of Shaebia after the retreat of 78 is the history of defending the dejen in one werar after another. Every time Ethiopia conducted a werar that consisted of tens of thousands of soldiers and lasted for weeks in bloody fighting in miles and miles of trenches, thousands of peasants perished. And as in the thought experiment, given the obvious intervals in between these rounds of battles, the disembodied brain at the top used to rush to conduct raids into the villages of Eritrea to replace the worn out body. Another horrifying indiscriminate giffa would be conducted, and thousands of children, women and men would be made to march all the way to Sahel in captivity, with guns surrounding them in vigilance all the way to the training camps. As these caravans of captured peasants trekked their way to the dejen, they must have resembled exactly the way slave caravans looked in the distant past. This scene was repeated again and again every time the Ethiopian army conducted a werar, until the day of independence. Given the numerous werars, it isn’t a surprise that it ended up depopulating the Kebessa villages, especially those areas that were easily accessible to teghadelti. And one has to reiterate this obvious point: it has been mainly on the back of this slave-army that independence came! That disembodied head now seats in Asmara, its proper place. All the worn out bodies – the tens of thousands of dead peasants – are to be found scattered all over the foreboding landscape of Sahel. The sad part is that the victimization of the peasants continues even when they are dead. In the romanticized version of the revolution, the urban elite now want to attribute hidri suwuatna to this most traumatized population group to retrospectively provide vision to their revolution. What vision could those unfortunate peasants have had except to get the hell out of the Hobbesian world that the alien urban elite had created for them, and to return back to the normal life of their forefathers? Appropriate to the disembodied brain metaphor, the urban elite never thought that the peasants could do their own thinking. They reserved the thinking part to themselves (“ghebar denbar” as they used to say). But typical of the urban elite’s deceptive nature, they now want to attribute their aspirations (as in hidri suwuatna) to the peasants in retrospect. When the peasants of Eritrea refused to carry arms, it was because they didn’t share the urban elite’s nationalist aspirations. Their aspiration was rather simple: to be left alone to do whatever they have been doing in their villages since time immemorial. That was all. If so, to the contrary, putting any hidri on their mouth ought to be considered as the ultimate form of disrespect to the dead. Until ghedli showed up in their villages uninvited, the peasants didn’t even have the concept of “Eritrea”, let alone the willingness to fight for that concept. And in those far away villages (far from the urban areas), where most of the forced conscripts came from, most of them had never uttered the world “Eritrea” in their lives before the arrival of the aliens in their doorsteps. It simply was a superfluous concept (like the idea of a quantum theory) that had no applicability in their daily lives. And they were better off without this urban elite’s concept that came from nowhere, like a virus, to spread so fast and cause so much havoc in their lives. The first time they uttered it, it must have sounded strange in their mouths – not unlike that of “El Dorado”. I could even imagine them laughing at their first attempts to pronounce it right as this alien word kept their tongues entangled (Ilitria, eltra, iritra, ertra, etc); but often tragedies of epic proportions have this kind of farcical beginnings. That the human factor was totally absent in the ghedli generation’s frivolous surface modernity when it comes to the peasants is obvious in that the latter were totally invisible to them both while they were in their urban enclaves and throughout their ghedli sojourn. In the latter case, on their way back to Asmara, they treated the peasants as dispensable objects that would take them back to their citadel. But if you think that they would treat the ghebar of Asmara differently, think again. The Asmara inhabitants were to face the same fate later, after independence, only this time it would be done “in defense of Asmara”. But there were tell-tale signs of things to come from the way the Fronts behaved in their siege of Asmara in mid 70s. Appropriate to their surface modernity, they wanted back their city even without its inhabitants! Here is an assertion in regard to ghedli’s treatment of Asmara that would rub the ghedli romantics the wrong way: in the mid 70s, when Asmara was under siege, both Jebha and Shaebia attempted to achieve victory that they could not attain through their fire power through an unusual means: by starving out the people of Asmara. For more than a year, they vigilantly prohibited food from entering the city; with severe penalties meted out to peasants who tried to sneak in their food products. The aim was: how do we get back bella Asmara; and if need be, without its inhabitants? Often the adage, “drying out the ocean to catch the fish” was said with the enemy in mind, in that it targeted the peasants (the ocean) to deny the teghadelti (the fish) the larger habitat upon which they depended to survive. But the “starve out the inhabitants of Asmara” strategy reverses this role in a very unpatriotic way. The Fronts were starving the city dwellers for various reasons: (a) to smoke them out of the city, and leave the enemy with as few inhabitants as possible; (b) to make life for the inhabitants so miserable as to be embittered by the Derghi occupation; and (c) to find a stream of recruits from the half-starved fleeing Asmarinos. And here is the irony (or a corollary assertion, to again borrow a word from my dear friend Aklilu Zere) that won’t sit well with the nationalists: it was Derghi that conducted an airlift throughout the duration of the siege to feed the population of Asmara. However we look at it, this was quite a feat for a poor, third world nation to pull off. Even though the population shrunk drastically to less than half of its previous population, Derghi managed to stop the outmigration at about 100,000 of population. Again, it is the ghedli culture desensitized to the human factor that we see at work. We can see the urban elite from outside turn bitterly against the urban dwellers on the other side. The venomous teghadelti-ghebar divide that was to devastate Eritrea after independence was in the making in these formative years in mieda. And after the retreat, Asmara remained a haven for all those who made it their refuge, off limits as it was to the teghadelti – which, of course, added to that embitterment. Ravaged by Shaebia raids in their villages, many of the young peasants migrated to urban areas. In the 80s, Asmara and other cities and towns experienced an inflow of these internal refugees, although nobody labeled them as such. A city whose population had dramatically shrunk during its siege years of the mid 70’s, Asmara almost tripled within a ten-year span (that is, in the decade of giffa) after the retreat of 78. Even though most of those returnees were its original inhabitants, one of the main reasons for this sudden surge was the great displacement of peasants from the rural areas escaping forced conscription. We are now witnessing tens of thousands of army deserters and conscription evaders seeking refuge in shelters provided by Ethiopia, and recognize it as such. But what many Eritreans would find it hard to swallow is that this phenomenon also took place during the Derghi era. First, there were those who went all the way to Addis-Abeba to find refuge. Second, there were peasants who sought refuge in cities and towns protected by the Ethiopian army. And, third (another assertion that won’t sit well with the nationalists), even the urbanites themselves had to count on the Ethiopian army to protect their sons and daughters from being rounded up by Shaebia. And, in those years, when many of the urbanites had had enough of the war and decided to leave the country altogether, often they chose the TPLF controlled areas for their exit to avoid the trappings of Shaebia to reach Sudan. In the ghedli literature it is always Ethiopia that is blamed for the entire exodus of Eritreans during the ghedli era. But how much of that was a factor of ghedli itself, given that thousands of urbanites, peasants and deserting teghadelti were running away from the clutches of ghedli itself? Only the blinded ghedli romantics would miss the irony mentioned above: it was when their beloved teghadelti entered Asmara that the Asmarinos were to face the same ravages that the peasants were facing when they shared their area with teghadelti during their ghedli sojourn. Cohabitation invariably led to the displacement of former inhabitants. Thandika Mkandawire mentions an extreme survival strategy that peasants adopted in Africa when their land was occupied by alien liberation forces on their way to capture the capital: the population would move out of their ancestral land, leaving the preying guerrilla fighters to fend off for themselves.21 We have seen that with the young peasants who moved to urban areas, among other places, during the ghedli era. We are seeing that with the Warsai generation that have been displaced twice now: first, from their cities, towns and villages across the land to forcibly join the national service; and, second, altogether from the country to join refugee camps in neighboring countries. And if the peasants had a place to go in the ghedli era, all of them would have moved out to avoid the horrors of giffa. So is it with the rest of Eritrea now: if the gates of Eritrea would open, the whole nation would be on the move. So this logic of displacement is rather easy to follow: wherever and whenever the teghadelti moved in, the ghebar had to move out. There is no better alienation than this to describe the sheer mindlessness of the ghedli journey. Often it has been falsely attributed to Haile Selassie the saying “meritwa inji hizbwa anfelighim” (“We want its land, not its people”). In reality, this saying fits well to the ghedli generation that set out to liberate “Eritrea” devoid of its human factor. But to see how that was done, we have to look at how the teghadelti behaved after they triumphantly entered their citadel (in Part II). How about Jebha? Even though Asmara modernity had a lesser role to play in its world view, Jebha’s feudal and Arabist roots left no room for any kind of cosmopolitanism to take hold. Saleh Younis wants to differ: “… in addition to being repulsed by the permanently medieval society promised by Ethiopia, the ‘Ghedli Generation’ was heavily influenced by the revolutionary zeal around the world at the end of the World War”22 He then quotes a Jebha teghadalay to validate that the Eritrean movement drew its inspiration from various movements in the world that emerged from the end of the colonial era: Mahatma Gandhi and Jawaharlal Nehru of India, Mohammed Ali Jinnah of Pakistan, Chu En Lai and Mao Tse Dong of China, Mau-Mau of Kenya, Kwamo Nkrumah of Ghana, the Moslem Brotherhood and Gemal Abdel Nasser of Egypt, Joseph Bros Tito of Yugozlavia, George Amado of Italy, Zapata of Mexico, Castro of Cuba, Winston Churchill of Britain, the Paris Commune, the French Revolution, etc. Now, if we are to believe that there was any internationalist influence from the various movements the author haphazardly piles up, it would definitely show in the nature in Jebha. But for Jebha, let alone internationalism of any form, even nationalism was the last thing in its mind. The trans-national aspirations of its absentee founders in Cairo – Islam and pan-Arabism – shouldn’t be confused for cosmopolitanism. Even when some of them came up with some sort of “socialism” at their liberal best or “ethnic federalism” of the mieda sort at their pluralistic best, both had to necessarily come from the Arab world in the form of Baathism and “Algerian experience” respectively - again, the point is Jebha couldn’t conceive anything outside the Arab world. So whatever inspiration they drew from or whatever solidarity they made with had nothing to do with internationalism or cosmopolitanism; nothing at all about self-liberation. Always driven by collective identity, their mieda history testifies that they never managed to come out of their tribal and religious squabbles. Since Saleh revels in characterizing the Habesha world, in general, and Ethiopia, in particular, as medieval, let’s use that measurement to assess the “medieval component” or lack thereof in Jebha. I will use one parameter to test Jebha’s supposed internationalism as has been propagated by its “visionaries”: how it treated its war prisoners. The abc of internationalism as proclaimed by all liberal or leftist movements starts with this simple credo when applied to the Eritrean context: that there should be a strict distinction between the Ethiopian rules and the Ethiopian oppressed masses from which the foot soldiers hailed from. But even if we ignore this leftist credo, there is still the Geneva convention that states fair treatment of war prisoners. In 1978, at the time of retreat, Jebha executed all of the hundreds of Ethiopian prisoners that it had at its hands then. Others have come up with a more exact number: “800 Ethiopian POWs massacred at the cliff of Jemiel Mountain near Keru, Akordet of lower Barka in 1978”.23 And I don’t believe this is the whole story, for Jebha was killing all the rest (in thousands) as they were captured. It didn’t even spare the Raya militia that came on spontaneously in the 70s without any military training. Many of them were to perish in the hands of Jebha due to maltreatment, starvation, diseases and execution while still in custody. The fact the Jebha was killing all its Ethiopian prisoners all along in its 20 years of mieda life – something that neither Ethiopia nor Shaebia did – has a simple reason: pure barbaric hate at its most elemental. If there was medieval barbarity, it was to be found in Jebha. That is to say, cosmopolitanism had absolutely no place in the Eritrean Revolution. Many of us have been wondering what in the hell is Isaias Afwerki trying to pull off with the investment conference. Does he really expect people to invest in Eritrea after the economic self-destruction of two decades? Even though there is that element of desperation in it, I believe that Isaias is aiming at more than that. Isaias is like the magician who, through his occasional shows (like the investment conference), have been playing tricks with the eyes of his audience. He knows that the Eritrean nation, with its economic and military meltdowns, has come to a standstill. But in the magician’s trade, appearance is all that matters: do the public see what he wants them to see? Enamored as they are with appearance modernity, the nationalists have become incapable of seeing the difference. In these twilight days, Isaias’ predicament has been: Is there an economy to talk about? Is there an army to talk about in Eritrea? And if this is pushed to its logical conclusion, the question will turn into: Is there even have a nation to rule? You can easily see how both his supporters and detractors would join Isaias in the appearance illusion. Right now, the Grand Magician is entirely preoccupied in convincing the public that the ghedli baburey that has come to a dead end is actually moving. In the old Habesha tradition, there is this notion of “nubur mifitan” that explains the state of mind of the nationalists that Isaias has been keenly aware of. In that tradition, an old maid would rather be known as “nubur fetina”, even if that marriage has been brief, childless and painful, than as someone who had never been married; for the stigma that goes with the latter is shamefully unbearable. And when it comes to many Eritrean nationalists, what matters to them most is that their Eritrea “nubur fetina” as a nation. Their whole pride and dignity is tied to that fact and that fact alone; they don’t care about the unbearable pain and misery that the masses have been undergoing in these years of “nubur mifitan”. In fact, these are the very years that the Eritrean masses have lost all that has been “nubur” in their lives – that is, all the normalcy in their lives have been thrown away in the very process of nubur miftan of a nation. If that isn’t irony, nothing is! Notice how this irony is at the core of the misguided elites’ identity. These dignified misfits’ identity is strongly tied to the “nubur mifitan” of Eritrea. And like the old maid who never tires of telling and retelling the story of her wedding – for nothing else highlights the “nubur mifitan” as the wedding day, with tchira-watta and koboro and all the rest – the dignity crowd never tire of telling the day that heralded their nation’s nubur mifitan: the Independence Day or Bahti Meskerem – that is, to the exclusion of everything else. That is exactly what happened in Bayto, when the members (and their instigators – the Awate Team) had more concern about Bahti Meskerem and the shifta that supposedly fired the first shot than the horrors the Eritrean people are currently facing inside and outside Eritrea. The theme of this part of the article has been to trace the Asmara and ghedli roots of the drive to modernity devoid of its human aspects that now has turned the nation into a basket case. But we have yet to see how this takes place in tangible instances of modernity projects in detail. In almost every major project undertaken to modernize Eritrea, the human factor missing can be located at the two ends of that project; the human toll it takes is to be seen both at its implementation level, in the very process of building it, and at its outcome level, when it fails to serve the masses for which it was supposedly built. We will see how this goes in detail in Part II. Bana from Asmara; Asmara’s Crumbling Buildings I, II & III; Asmarino.com; Nov – Dec 2012. 6. Asmara’s Crumbling Buildings: Let the pictures speak- Part I; Asmara’s Crumbling Buildings: Let the pictures speak- Part II; Asmara’s Crumbling Buildings: Let the pictures speak- Part III and Final. Tamagni, Daniele; The Gentlemen of Bakongo – The Importance Of Being Elegant; and Wrong, Michella; In the Footsteps of Mr. Kurtz; First Perrenial:2002; pp 169-191. Pamuk, Orhan; Istabul: Memories and the City; First Vintage International: July 2006; pp 9-10. Mengs, TM once wrote an excellent article at Awate.com on how teghadelti came to own Eritrea, but I don’t remember its title and the archive remains inaccessible. Ghebrehiwet, Yosief; The Incuriosity that Killed a Nation: Anti-Intellectualism and the Eritrean Revolution. Keneally, Thomas, Towards Asmara; Oct 01, 1990; pp 223. 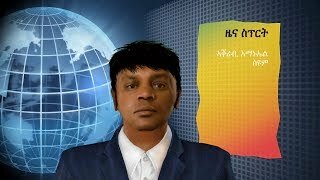 Ghebrehiwet, Yosief; Why War Is Not an Option, Aug 2005. Mkandawire, Thandika. The Terrible Toll of Post-Colonial ‘Rebel Movements’ in Africa: Towards an Explanation of the Violence against the Peasantry; The Jouranal of Modern African Studies. Vol. 40. No. 2 (June 2002) pp 181-215.